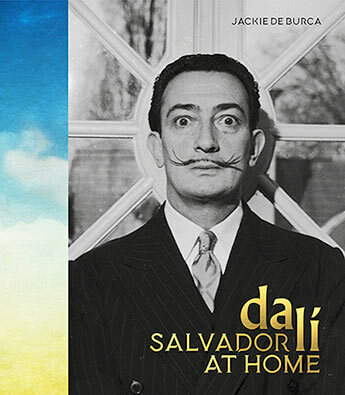 Salvador Dali at Home is a book that seeks to unveil the places and people that shaped the work of one of the greatest Surrealist artists. The biography offers an intriguing behind the scenes look into the private life of Salvador Dali, illuminating the influential forces he was subject to, as well as attempting to shed some light onto who the man behind paintings such as The Persistence of Memory really was. Jackie De Burca succeeds in creating an intimate atmosphere, through her extensive research into the hidden corners of Dali’s life, as well as the many personal photographs featuring Dali that are dispersed throughout the pages, and it is impossible not to feel a degree of closeness towards Dali by the end of the book. The biography is divided into chapters signifying important moments throughout Dali’s life and career. 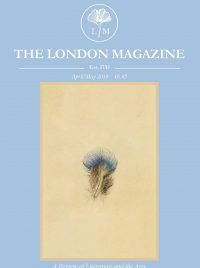 His travels to places like Paris and America are traced, as are his complex relationships, both of which are shown to correspond to his creative transitions from experimentalism, to surrealism, to classicism and finally to the mathematical-inspired work that permeated the closing of his life. De Burca starts from the very beginning, delving into Dali’s early childhood, accounting several interesting aspects that would weave into his art. His classmates would throw grasshoppers at him; grasshoppers would become an important feature in his art, symbolic of fear and destruction. Dali was told at the tender age of five that he was a reincarnation of his dead brother- one can imagine how strange that must have seemed to a young child- his life was fused with the surreal from the start. Dali stood out from the crowd even when he was in school; his privileged upbringing made him appear alien to his classmates. They would sniff at his perfumed hair in wonder, as if marvelling at an incomprehensible object. The distinguishing aspect of this biography is the emphasis throughout on Dali’s homeland and the profound impact it had on him and his creations. The biography begins by setting the scene in which Dali would be born: the wild, strikingly beautiful Alt-Emporda region in Catalonia, Spain, with its rugged, naturally picturesque landscape sculpted by the raging Tramuntana wind. De Burca, originally born and raised in Ireland, has been living in Catalonia for more than fifteen years, and her deep love and connection to the land allows her to understand Dali’s in a unique way, providing insight into the inspirational effect of the landscape on a creative mind. I was intrigued by the extent to which his homeland is presented as an influential force, a ‘permanent inspiration’ which seeped into his art throughout his life. His homeland acts as a grounding force for his work, and, it seems, on himself too. The beautiful abundance of images brings De Burca’s words to life; the book contains over 130 illustrations of Dali’s paintings to marvel over, alongside pictures of his beloved Catalonian homeland and an array of personal photographs. The effect of these images visually ties together the strands of Dali’s artistic career and his home life with all its inspiration. I did feel there was much left unsaid surrounding Dali’s controversial, intentionally outrageous career and how it related to his private life. Whilst De Burca refers to Dali as actually ‘shy and timid’ many times, the extent to which his public persona was a true reflection of himself is left ambiguous and there are no definite answers. It seems Dali wanted his life to be one clouded in mystery. Rather than delving deep into questions of who Dali really was, De Burca prefers to focus on examining the influential forces in Dali’s life, and in doing so, clues that point to his true identity are uncovered. For more on this book visit Quarto Publishing.